There’s nothing better in this world than cars. Driving pleasure let’s escape from all the problems and enjoy the life at its best. Still, it’s even better driving not just random cars but the very best ones. 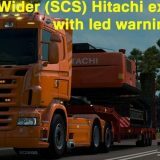 Want to try them out on Euro Truck Simulator 2? 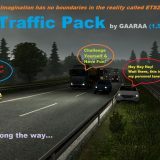 Then download our ETS2 Cars mods and entertain yourself with the most popular brand new cars. 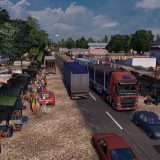 It’s a must to say that all the ETS 2 Cars mods are absolutely free so you got to admit, there isn’t often such an opportunity to get brand new cars for free. Also, it’s quickly downloadable and easy to install so just after several minutes after you click “download” you’ll be able to enjoy this game from an absolutely different angle. You can feel the real pleasure not only by playing Euro Truck Simulator 2 but by driving hottest cars as well. 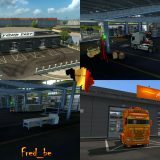 Simply download Euro Truck Simulator 2 Cars mods now and experience the real joy of life!